This book of 747 pages was interesting reading for me. I was expecting highly mathematical and detailed modeling on the physics of semiconductor devices, but was pleasantly surprised. 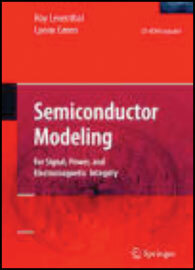 The text is addressed mainly to design engineers who need a broad view of semiconductor modeling, especially in high-speed circuit boards. The main approach of this book is not on the physics but on the use of simulation to help solve practical problems. The book is about design ideas and information sources to help implement those ideas. It is more about how to properly apply CAD tools, how to work with suppliers, design concepts, and processes to enable your design. The book relates to EMC/EMI because it is basically tailored to high-speed design in which signal integrity is an issue. I highly recommend this book to those EMC/EMI engineers interested in modeling. The book is organized into seven areas distributed among twenty three chapters. The areas are: 1) where models and simulation fit into product development, 2) generating 2-port, scattering parameters, SPICE, and IBIS models, 3) selecting components and their models, 4) about the IBIS models for simulations, 5) managing IBIS models for simulation, 6) checking and verifying IBIS models, and 7) the future of IBIS and related modeling techniques. There are 12 appendices and the book comes with a CD ROM that teaches users how to extract models and simulate with them plus a lot more information of interest. Many specialists have contributed technical material and reviewed the resulting content; therefore, the book was very well researched. How do a group of individuals from a company guarantee a successful design? This is the topic of chapter 1. Management must provide engineers with good EDA tools and a supportive company structure. The chapter provides tips for modeling and simulation and sources of good judgment when contemplating design objectives. Chapter 2 discusses modeling concepts with EDA tools in general terms. The chapter introduces modeling for simulation and discuses top-down and bottom-up concepts, sources of noise on digital signals, and limitations of modeling. There are some rules of interest for judging the model’s usefulness and integrity. The second area is about generating models. Chapter 3 covers the usage of basic physics to extract model parameters for modeling and simulation. Discrete semiconductor types are used as examples in the discussions of the link between device design and model parameters. Modeling tools can be used to extract circuit model properties from the structure, material, and electrical properties of semiconductors. One tool discussed is TCAD, which provides such a link between semiconductor device design and the electrical characteristics represented by models of these devices. The chapter ends with how to get information on the modeling of packaging interconnects for EMI purposes. If you want to learn how to measure your own semiconductor parameters, then chapter 4 is for you; it discusses how to do this with test instruments. Sometimes you want to measure model parameters to verify and validate models. Also, some SPICE model parameters cannot be derived from device modeling, so you have to measure them. It is interesting to know that most published device models, including behavioral models, are derived from a SPICE model, rather than from measurements; yet the SPICE model may contain errors due to wrong assumptions and as we use these models the error propagates to other derived models. The chapter introduces how to measure parameters for 2-port matrix, scattering parameters, SPICE, and IBIS models. Chapter 5 introduces some statistical control processes to examine how parameters can spread in devices and how these parameters spreads can affect simulations. The third area deals with selecting components and their models. Chapter 6 is about making design tradeoff choices among component properties and the chapter devotes a few pages to the usage of different types of selection guides to compare and contrast components. It also discusses how the selection guides should be used by different types of designs. Examples are discussed, including an example where the use of simulations was required in order to make final selections. An extension of this work is taken to chapter 7 concerning the usage of data sheets to compare and contrast components. Using the example of data sheets, this chapter illustrates making design tradeoffs based on analog, high frequency, and driver impedance behavior. In high frequency devices the analog behavior of I/O devices is important. Chapter 8 discusses the advantages and disadvantages of different types of models in order to select the best model for your simulations. Once you select the best components for your design (chapters 6 and 7), you need to choose the best model to analyze how that device will behave in the circuit. Each model has its advantages and disadvantages for the task at hand. The major types are SPICE, IBIS, and S-parameters. SPICE models are complex and useful for addressing physical effects. S-parameter models can handle high frequency effects but do not model time domain switching well. IBIS provides a good balance simulation between complexity and speed, and it is the best kind of model to use in the majority of PCB-level simulations. However, in EMI/EMC, the complexity increases and you need to address, and even develop, other types of models in high-speed design. You can often tinker with an existing model to be converted to another model that will be more useful to you. The process of finding, making, and buying IBIS models must start as early as possible, and this is discussed in chapter 9. Early simulations can address critical circuits while later simulations can be more accurate and should cover all the rest. The fourth area of this book addresses the IBIS model. Chapter 10 addresses key concepts of the IBIS specification. The IBIS specification provides strict rules (large files, detailed and complex) for modeling data exchange in order to ensure that model data files are software neutral. The IBIS model data file is the most practical model to use for most high-speed simulations. It offers the best compromise between simulation speed and model complexity. This compromise is done by ignoring the internal behavior of the drivers’ circuitry and just modeling the behavior of the terminals. It is important to have a good process and good tools for validating IBIS data model files. Two such tools discussed in the chapter are the IBIS committee’s golden parser and the quality checklist. What if you want to change things in your IBIS files? What happens when we change model parameters (as in virtual experiments)? This is the subject of chapter 11. This chapter describes seven virtual experiments in which parameter values are changed and the effects of those changes are simulated. The simulated results are then compared to circuit theory to ensure that they are consistent. What if there are errors and omissions in the IBIS models? Yes, it does happen and chapter 12 discusses the ability to validate, fix and create models, all of which are essential for the engineer. The IBIS specification will grow even larger and more complex as it incorporates better modeling of complex I/O at higher frequencies. Therefore, there are bound to be mistakes. The engineer must have the skills to fix the models for his/her simulations. It takes time and effort to learn how to create, validate, and fix IBIS files correctly. Thanks to the usage of some EDA tools (e.g. Model Integrity from Cadence), the process of creating and validating IBIS models from SPICE can be accomplished. Model validation checks both model syntax and model data and this is discussed in chapter 13. The final step when using the model in a simulation is to check for unexpected interactions between the model and the simulator. The validation methodologies described in this chapter are applicable to any model; it can be applied to both transistor-level models and behavioral models. A behavioral model can be expressed in many ways, including SPICE controlled sources, IBIS tables, VHDL, and Verilog. The validation makes sure the model data is correct, and that it produces the expected simulation results. The fifth area deals with managing models. Chapter 14 discusses how to get IBIS models. IBIS models are available from a variety of sources, but it takes perseverance to find and prepare models that are good enough to use. A lot of the effort in simulation deals with obtaining, fixing, creating, and archiving models. Engineers need to understand the sources and strategies for obtaining IBIS models in sufficient quality to meet their needs. Engineers also need to know how to create and validate IBIS models when none are available. Sources of IBIS models include semiconductor suppliers, third-party modeling services, and conventional SPICE models. Another source is to adapt models already in existence. Hopefully, you are not alone in developing models and your workplace has a good stock of model libraries. Chapter 15 deals with working with model libraries. A well-managed library helps conserve and leverage engineering resources. Standardization of commodity components reduces the proliferation of unnecessary parts and data and is a philosophy that should be employed in managing the library. The company’s library serves as the central database for all component-related information. If the model files are part of this component library, the component library can also provide for model storage, retrieval, and use. A well-managed library is a good investment for the company. The sixth area deals with model accuracy and verification. Chapter 16 deals with verification methodology for models. Verification compares model simulation results against hardware test data, making model verification the final step in modeling. The verification methodology described in this chapter can be used for SPICE, IBIS, and other model types. Verification can be done against a single model (stand-alone) or against a model within a design. Chapter 17 covers the verification of model accuracy by using laboratory measurements. Normally you can first obtain physical units, measure their model parameters, simulate their behavior with measured parameters, build circuits with the measured units, measure the circuits in the laboratory, and correlate the measurements with the simulation. A more efficient alternative is to model and simulate a population of devices, assemble a representative sample of the devices into multiple test circuits, measure the population of test circuits, and then compare it to the population of simulation results. Since all models contain simplifications and approximations of what they represent, engineers must exercise good judgment for deciding when a specific model is fit for use; this is discussed in chapter 18. Chapter 19 shows an example of behavioral modeling for an RF amplifier. The seventh area deals with the future direction of modeling. Chapter 20 is the largest chapter in the book and it addresses the challenges to IBIS. Two emerging approaches to modeling complex I/O are macromodels and AMS (analog mixed signal) equation based model languages. These approaches allow IBIS to keep up with circuit design evaluation of complex I/O. After a decade of dominance in simulating I/O, IBIS is losing ground because of its limitations in simulating complex programmable I/O. Possible solutions include using physical models (SPICE), behavioral models, macromodels, and the AMS modeling languages. The leading contender to solving the complex I/O modeling issues is the AMS modeling language. This chapter briefly reviews several modeling methods as they apply to model fabrication. Communication between semiconductor suppliers and OEM users should be interactive. Today, cutting edge ICs, net topology, routing, and termination are developed by a team of logic design engineers, signal integrity engineers, and PCB designers. This is discussed in chapter 21. Chapter 22 discusses the future trends in modeling. 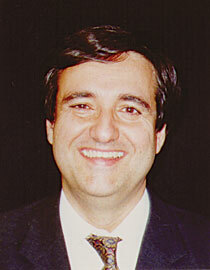 Rapid advances in technology have opened new opportunities and challenges in modeling and simulation. Signal integrity, power integrity, EMI/EMC, and simulation are becoming more necessary and more challenging. New ideas being applied to high-speed digital design include the use of macro modeling, VHDL-AMS, and S-parameters models. Advances in EDA tools and simulation models are helping engineers meet new challenges. Finally, chapter 23 discusses the usage of probability distributions in simulations. This is my favorite chapter because it happens to address an area that interests me and in which I have only had partial success. The view reached is of a discipline very different from that of today. This chapter presents modeling as a deductive exercise in the mapping of a parameter space. Each single valued model parameter is replaced by a statistical parameter that exists within a physical range with a defined probability function. To be economical, most designs must be produced within the probability of particular combinations of variables occurring at any one time. An absolute worst-case combination of variables is usually unlikely. For the target quantity, simulation yields both a physical range and a confidence level by mapping of the model parameter space. Examples are presented for very simple problems.